Do you own a business? Looking to buy or sell a business? Need help starting a business? We can help. Our business law services include advice regarding the appropriate business entity and assistance in the formation of such entities, the negotiation and drafting of contracts, employment and other commercial agreements, and counsel to shareholders and directors. We also have extensive experience representing clients in the purchase and sale of businesses, small and large. Most people view a lawyer as a necessary evil; someone to be avoided unless there is trouble. Our goal, however, is to help you before trouble arises and, hopefully, keep legal problems at bay. At your request, we are happy to sit down with you in order to better understand your business, and tailor our legal advice to your specific needs. We evaluate potential legal risks your business may face and craft advice, agreements and procedures to help reduce that risk. We have experience forming and maintaining business entities such as corporations, limited liability companies and partnerships to help protect your personal assets from liability. We draft specific agreements that spell out the responsibilities of the parties involved, reduce confusion and limit the potential for a frivolous lawsuit. Among other things, we will advise you about employment policies and help protect and maximize your intellectual property. If you want to buy a business or expand through an acquisition, we will help with your legal due diligence then create comprehensive documentation to help reduce your risk and make the process go smoothly. And, if you are looking to turn your business over to the next generation or to sell your business, we can help plan for succession to the next generation or guide you through the ins and outs of a sale. Many people form their companies on their own or without proper counsel. The failure to obtain qualified counsel may lead to errors when forming a company. The required documentation and corporate records can be confusing, and conducting shareholder and director meetings often are neglected. Failure to adhere to the state’s corporation law requirements however, can jeopardize the company’s limited liability protection. Moreover, even if the company is properly formed, it may operate in a way that can eliminate such limited liability protection. We review all legal aspects of your business and advise you of the appropriate steps to ensure you receive the protection the law affords and you depend on. In business, a contract can be an invaluable agreement, but it must meed the specific needs for which it is designated in order to be effective. We review, and if necessary, revise all contracts, to minimize confusion, increase enforceability and help ensure your business deals proceed smoothly and profitably. 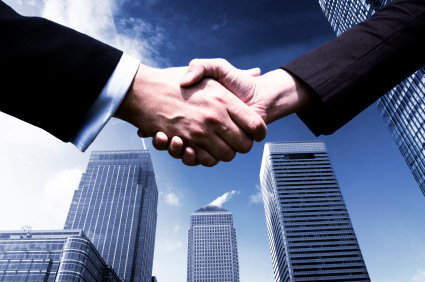 We have significant experience advising clients in the purchase or sale of a business and its assets. Over the years we have assisted with transactions valued from just a few thousand dollars up to more than thirty million dollars. In fact, in just the last year alone, we have advised on or negotiated the following transactions: The sale of three different internet companies, the purchase of one insurance agency and the sale of three more such agencies, the acquisition of three websites and their related domains, the purchase of an equine service business, the purchase of media assets and the purchase of an affiliate marketing program. Want to keep up on news which relates to everyday life? Check out our Flipboard magazine. Can You ‘Bulletproof’ Your Estate Plan? Dude, Where’s my Estate Plan?